So! 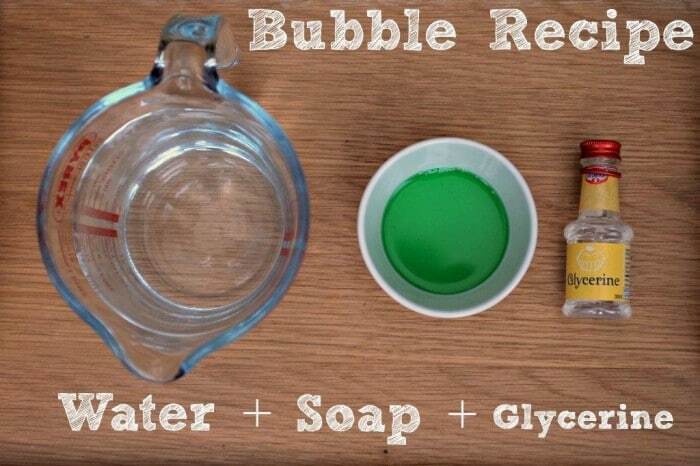 Always wondered how to make your own bubble recipe?! It is that time of year again, when we turn towards making our own Homemade Giant Bubble Recipe! We love love love making our own bubble mixture – perfect for all Bubble Activities for Kids. It means the kids can just play and not worry too much if some of the bubble mixture gets knocked or spilt. After years of trial and error with our Homemade Bubble Recipe, we have found a fabulous recipe that is perfect for the biggest bubbles ever (and as it turns out.. it is the same recipe the Bubble Show at the London Science Museum also uses)! You only need 3 simple ingredients to make this bubble recipe, one of which is WATER.. so come on.. you KNOW You want to give this Bubble Recipe a go. 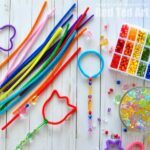 And once you have made your bubble mixture, make sure to give our GIANT Bubble Wands a go, as well as check out these DARLING beaded DIY Bubble Wands (they make a GREAT bubble party activity and bubble party gift idea too!). Spring is a great time for US to make a BIG BATCH of our Giant Bubble Recipe. To be honest, you can make it all year round (of course you can!! Hahahaha, it is perfect for Party Favours too), but we tend to mix up a big batch around the Easter holidays.. as my kids are home, it is a fun activity to do together AND they are starting to play outside more. 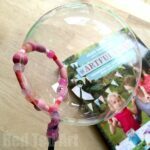 Though there are lots of Bubble Activities that you can do indoors (more on that soon, I promise! ), I love to just send the kids **outside* with their bubble mixtures and let them play and explore. The key thing about any bubble mixture, is to make it AHEAD of time.. it gets better 2-3 days after being made! 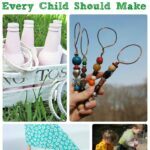 When they were little we focussed on small bubbles, making our own DIY Bubble Wands. Yes… this is it…….. our recipe is one of the SIMPLEST Bubble Recipes out and this Bubble Mixture Recipe works for both “small bubbles” and GIANT Bubbles! There are lots of Bubble Recipes out there, which can be a bit confusing. So we tried and tested and now we share our favourite … It really IS as simple as 1, 2, 3.. you only need, water, washing up liquid and glycerine.. Yes! This is how easy it is to make your own bubble mixture – water soap & glycerine! As you can see.. 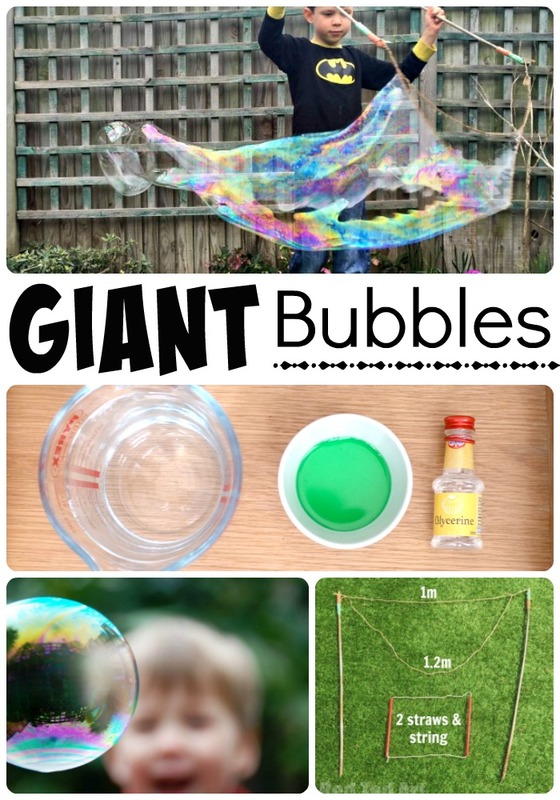 This is easy bubble recipe works for GIANT Bubbles too! Add more glycerine for stronger bubbles..
…Or small bubbles.. both are fun to play with! This bubble mixture recipe is endorsed by the SCIENCE MUSEUM in London – the perfect bubble recipe uk!!! They use exactly the same one (we had been using it for years… and one day went to see the Bubble Show at the Science Museum and were delighted to discover that they use the same bubble recipe as us! Whoop whoop!). You can find glycerine in the baking session of your supermarket. Glycerin is also great for adding to playdough, as well as snowglobes. 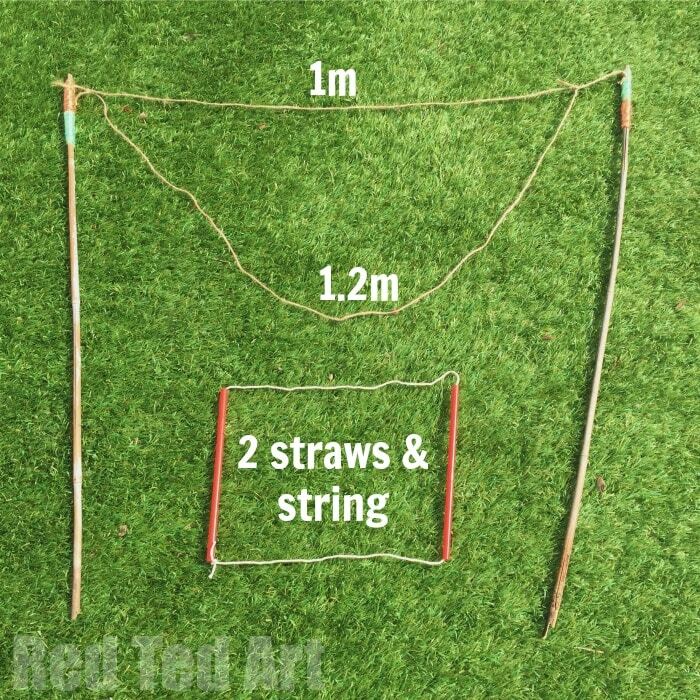 So if you are a DIY mum, you will find many uses for it! Watch our Bubble Video How to or read the instructions below! 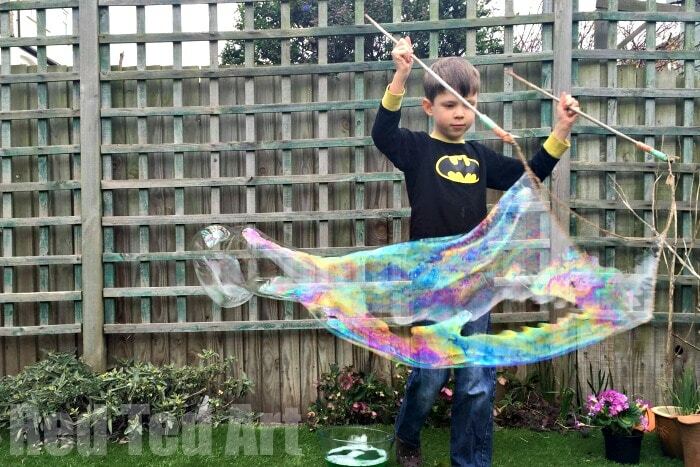 Now, as per usual, we have a fabulous bubble recipe making video (as well as how to make a DIY Giant Bubble wand) video for you below, or you can follow our simple step by step written instructions! 1) Mix all your bubble mixture ingredients together. Tip 1: Try to avoid making bubbles as you do it – i.e. mix it as gently as possible. 2) Leave the bubble solution over night. Tip 2: The longer you leave your bubble mixture the better, if using as party favours, make it 1-2 before! The kids then went and trialled it for giant bubbles AND in our bubble machine. They seemed happy (but disappointed than generally they could only manage 2-4 bubbles in one go). Look at that happy little face! I think that is a thumbs up for this recipe for bubbles! Summer… her we come, we are ready – tons of bubbles to keep us busy!!! Before we visit the GIANT Bubble Wand (also shared in the video above), I just want to mention that we have some super duper CUTE beaded bubble wands for you to check out. The kids will LOVE them. Both wands will work great with this bubble recipe. And here is a Giant Bubble Wands craft – so cute and they work SUPER WELL with our recipes! We have two methods. 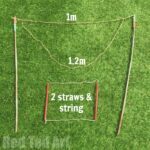 The Straws wand is great for big shallow dishes, the stick one is great for deeper dishes. We preferred the stick method because we didn’t have a big enough dish, plus you get your fingers all soapy! 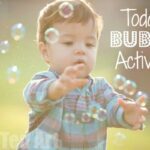 Looking for Bubble Activities? 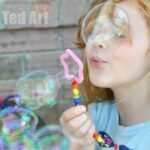 Here are some GREAT Bubble Play and Bubble Art ideas! 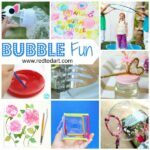 We have an extensive list of Bubble Activities for Kids, including Bubble Art Projects! Check out these COOL 3D Bubble Wands – great science for kids! Lovely thanks. May even have some glycerin in the baking cupboard! Perfect! I now need to stock up on it!! Well I never knew that – always just used washing up liquid and water. Thank you for sharing. 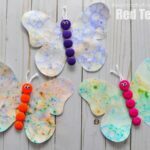 Such a fun activity for children! Do you have an idea for mkaing the blowers that I could use for a prep class? I’m a bit confused with the amounts. It says 250ml (1/2 cup) of washing up liquid. 250ml is 1 cup so are we meant to use 1 or 1/2 cup? 1 cup!!! That is an error. Will fix now! I am a bit confused on the type of soap to use. Is liquid dish wash soap or liquid hand wash soap best? Looking forward to making lots of rainbow bubbles, thanks! Please note that adding glycerin to your bubble recipe makes them dangerous if ingested. 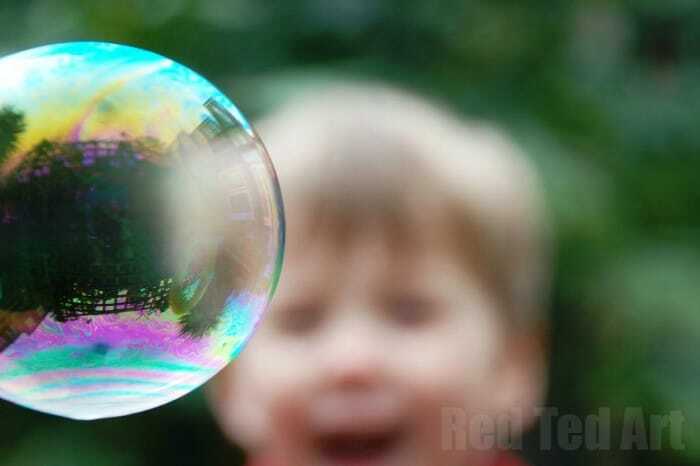 Bubbles sold in toy stores are labeled non-toxic because they contain no glycerin. Substitute corn syrup for the glycerin and they should work just as well! And be safe for kids. The biggest environmental factor for balloons is humidity. The dryer the air the more likely the bubbles won’t last long. Experiment with adding more water to your mix if you live in a dry climate! Vegetable glycerin is a common food additive. It is used to sweeten and to thicken liquids. It is also used in many medications and herbal tincture. It’s not toxic and won’t poison your bubbles. Aha! Finally I know why my bubbles never work as well as the shop bought buubbles! Have never heard of using glycerine too but am going to give it a try! I love the photo with the bubble at the front of the picture. I’m not sure if I love bubbles more or my kids. Do you know if eco-friendly dish soaps work just as well? My husband got into making bubble mixture a while back. He found that adding shampoo really worked well – the clear kind, not the pearlescent kind. Just add some to your recipe & see. 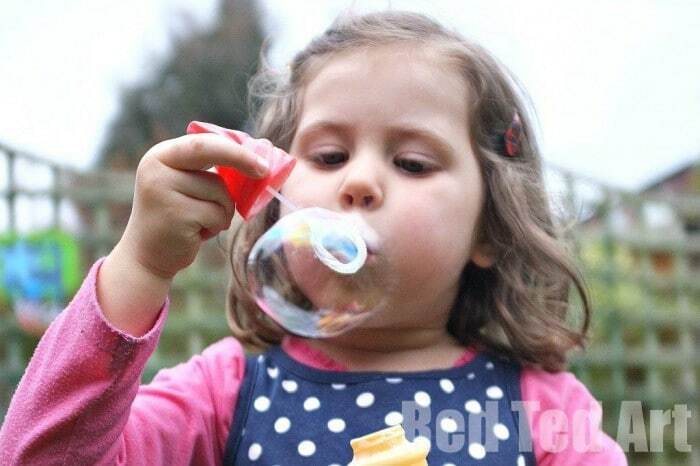 Also playing with bubbles on a misty or damp day makes a huge difference – they last much longer! We used Fairy Liquid (a British brand). Basically go with your LEADING brand. Good quality is important here!